Now my only question about this product is: why didn’t anyone think of this sooner? First, let’s do the technical part of this amazing product. It contains Flash Fusion Technology meaning that when you mix it with something, it transforms into pure pigment. It is formulated without parabens, sulfates and phthalates. Now, let’s get down to business. As said, this stuff is pure pigment. You can mix it with just about anything depending on what you want the finish to look like. So far, I tried to blend it with a moisturizer, a silicone based primer, an ordinary primer, a strobing fluid and another lightweight foundation. You can check out the results below (all with three drops). If you want a glowing, dewy skin, go for the moisturizer or even some face oil. If you want a more matte finish, try using a mattifying primer or a lightweight mattifying foundation. It’s really all up to you. About the number of drops – three is the most you need, really. 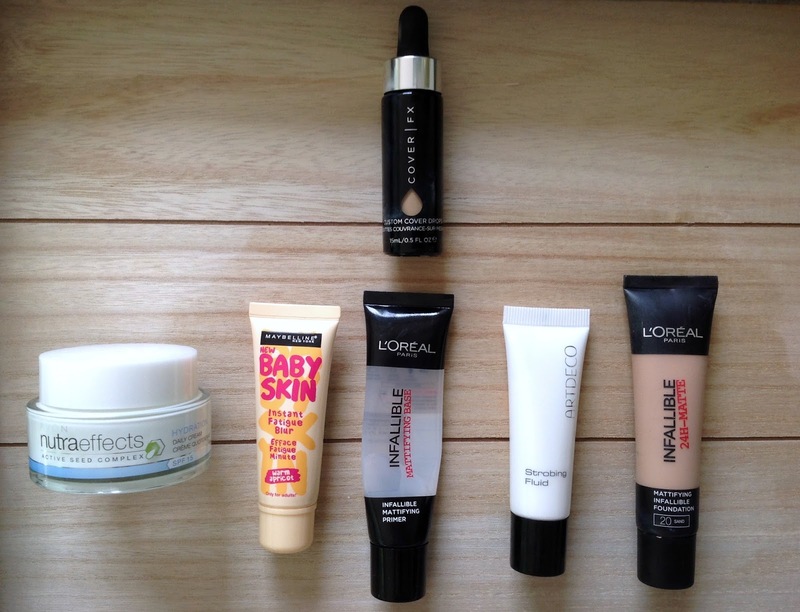 One drop for light coverage, two for medium coverage, three for full coverage and four for total coverage, as shown below mixed with a primer. The thing is – if you add more than four drops, the consistency and coverage won’t change dramatically so you might as well save the product. And even if you go for total coverage, you’ll barely know there’s anything on your face, because if mixed with a light medium these drops are completely lightweight! The bottle itself is minimalist and I like you can see the color in the drop below so you can compare it to your skin in the store if need be. The dropper is fantastic and the number of drops is very easy to control. Of course, things will probably get a bit messier when I get to the end of the product, but that is to be expected with all droppers. The 15 ml bottle costs 44 $ in Sephora or 39 € on Beauty Bay. Yes, it’s not cheap. But I’ll tell you this – if I wasn’t a beauty blogger and thus in need of trying new foundations in the market, I seriously doubt I would ever buy a foundation again. Ever. I would get one shade of FX drops for summer and one for winter and that would be it. I will also totally be able to transform some of the foundations that I didn’t like so much into something wearable. All in all, this will probably become a staple in my make-up collection. I’ve been using it non-stop for the past few weeks and I’m still discovering new ways to use it which amazes and excites me a lot.